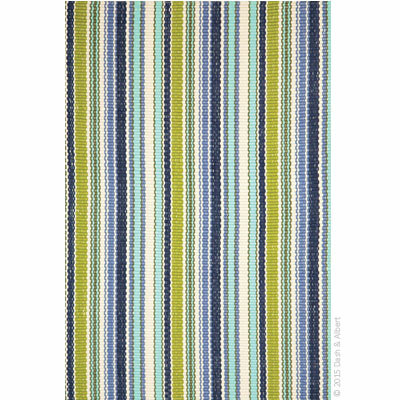 Dash & Albert's Pond Stripe rug is available in invigorating stripes of blues and greens. A rug that's at home indoors or out. Fade-resistant and washable.